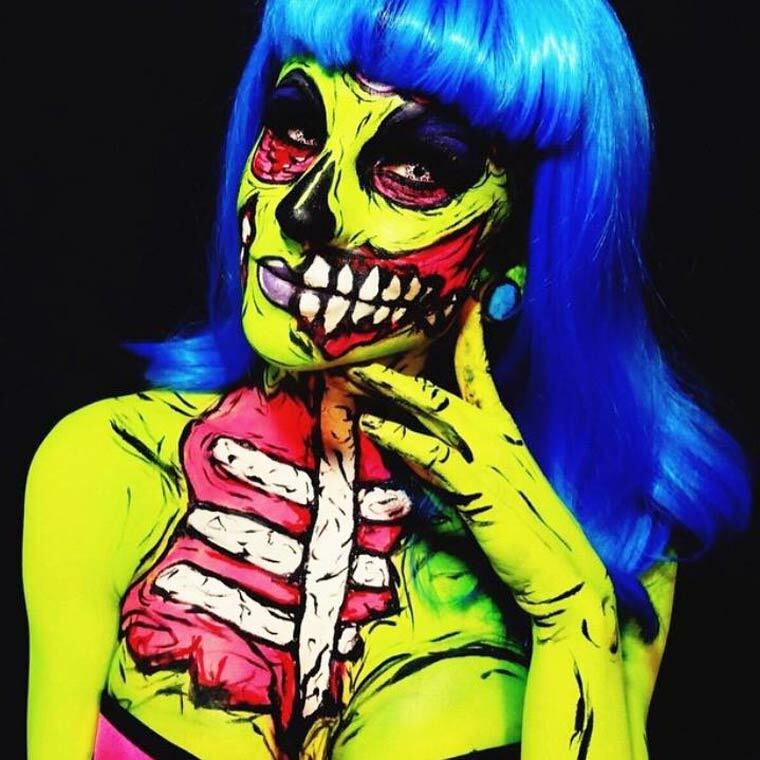 These neon zombie vixens are some of the most eye catching body paint work I’ve ever seen. 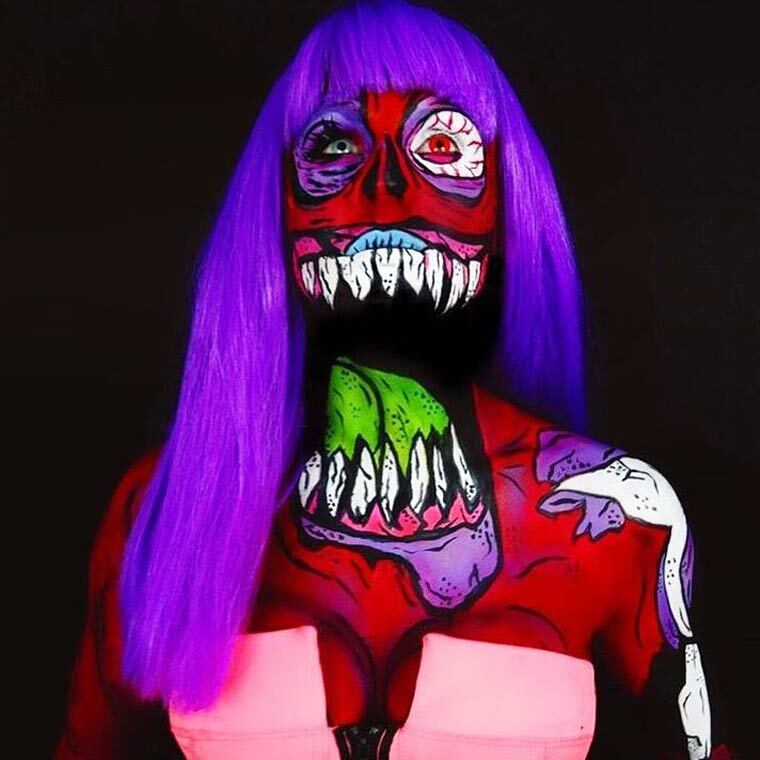 Seriously, imagine showing up to a Halloween party painted Body Electric style. 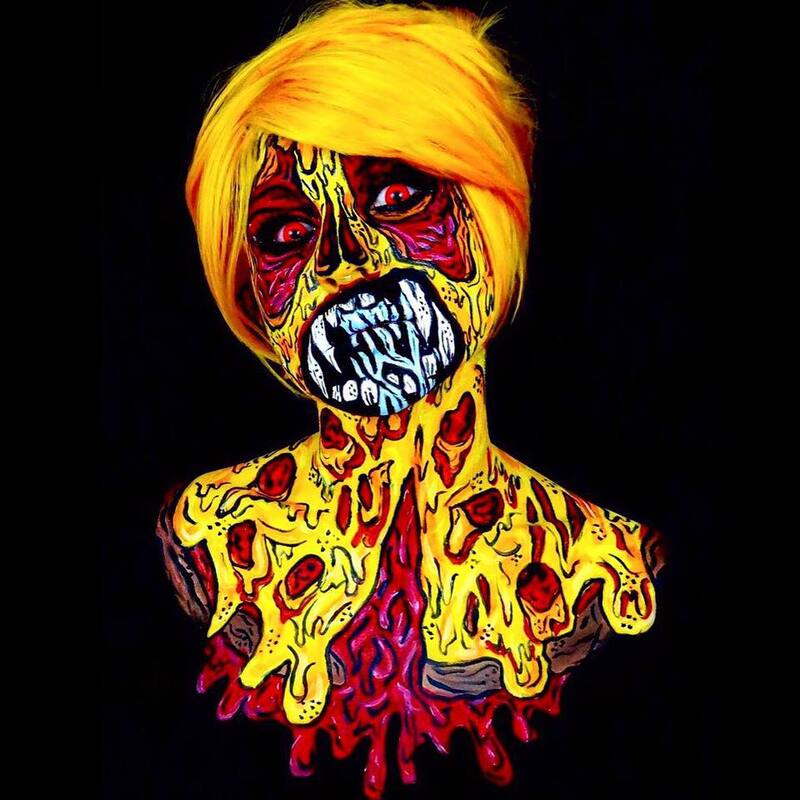 Who could look away? 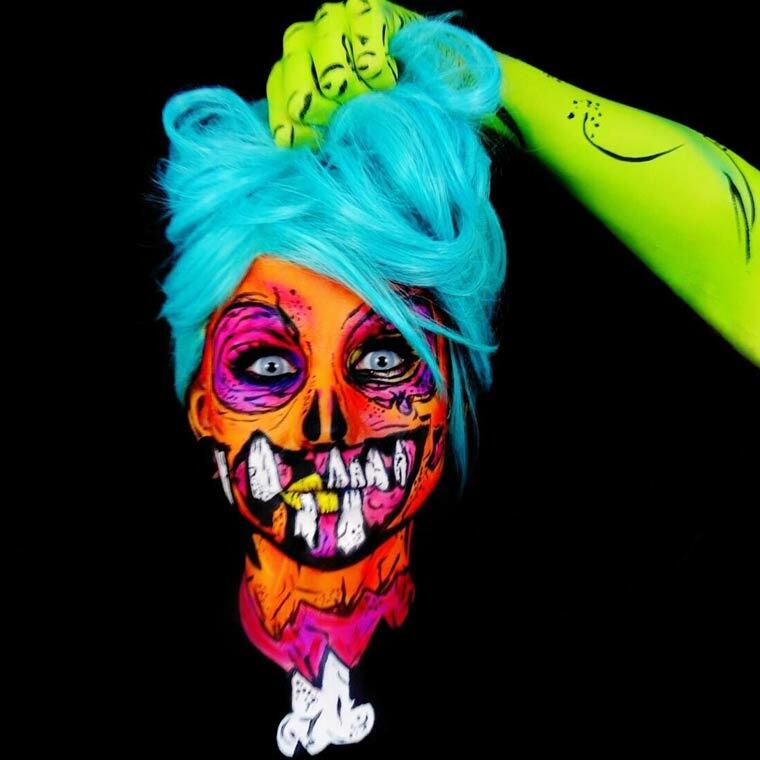 This girl definitely has a bright (*groan* pun intended) future in body art, if she chooses! And I hope she does. 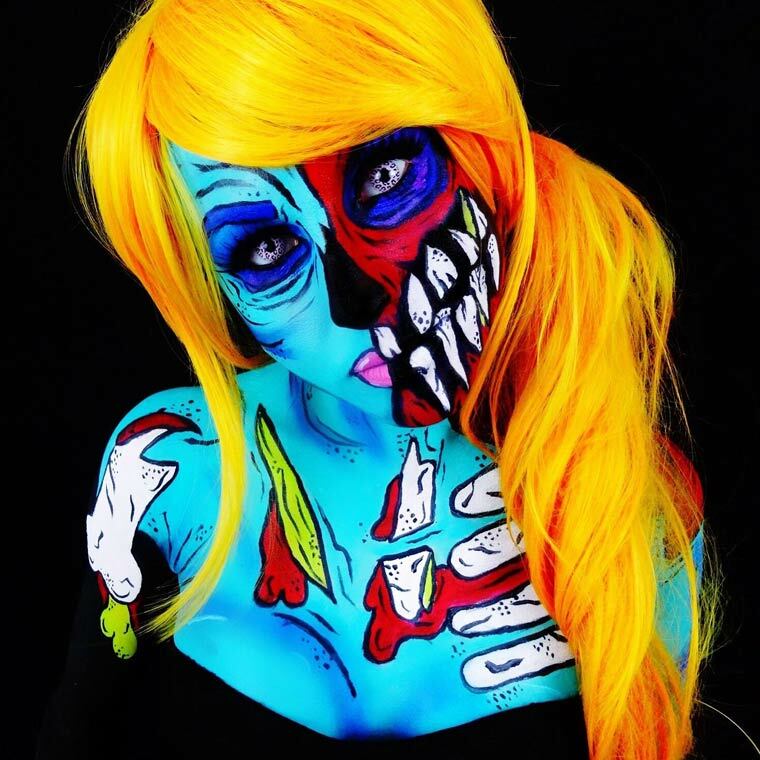 This entry was posted on October 13, 2015 at 3:04 pm and is filed under body decoration, halloween, makeup, undead with tags body decoration, halloween, makeup, undead. You can follow any responses to this entry through the RSS 2.0 feed. You can leave a response, or trackback from your own site. Electric indeed!! I like it! 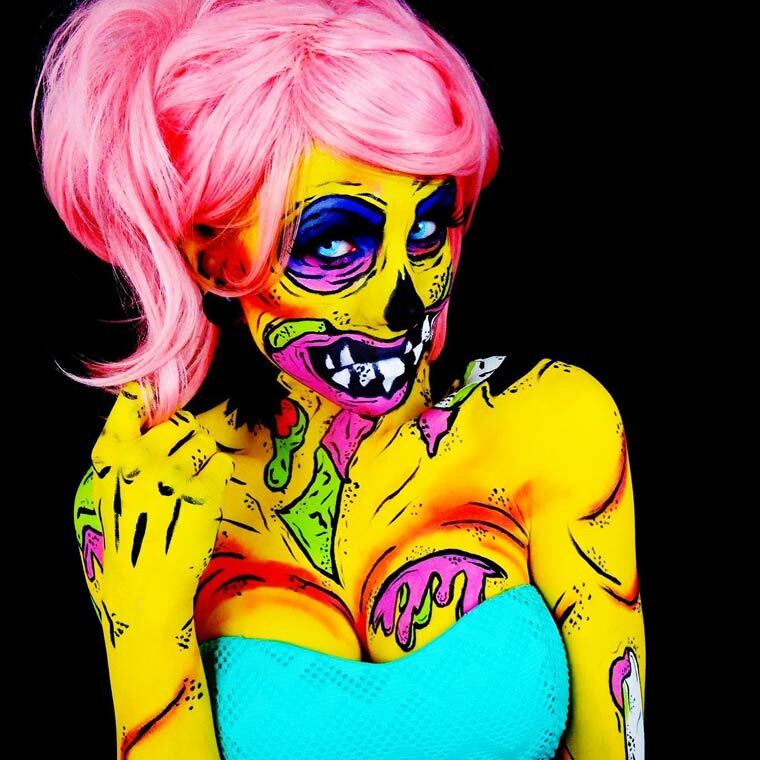 Wow, the colours and the cartoonishness give a whole other kind of creepy!